An exposition of the best-known but most frequently misunderstood section of the Bible: Matthew 5 - 7. 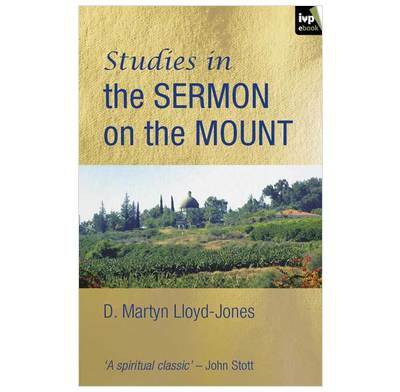 A Christian Classic - An untouchable exposition on the teaching of Christ in Matthew 5-7 from Dr Martyn Lloyd Jones. The Sermon on the Mount is one of the most familiar passages in the Bible, but is also one of the most frequently misunderstood. For Martyn Lloyd-Jones, the failure of the church today to appropriate its message is a telling symptom of its superficiality, ineffectiveness and unattractiveness. 'The Doctor', as he was affectionately known, shows the remedy for the church's lamentable weakness in Jesus' lakeside teaching, which he explains and applies memorably, through the Sermon's rainbow of themes - including blessedness, joy, spiritual mourning, salt and light, denying oneself, fasting, anxiety, discernment, self-deception, and the trials and tests of faith.